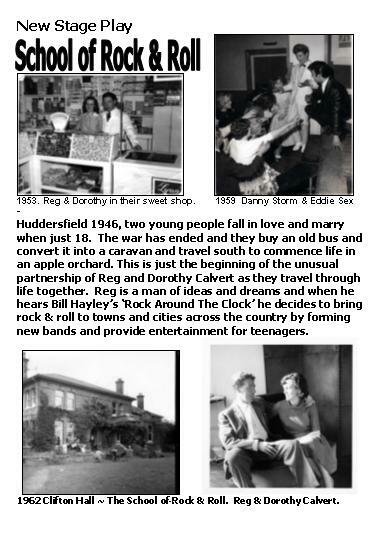 Two plays about Reg and Dorothy Calvert. 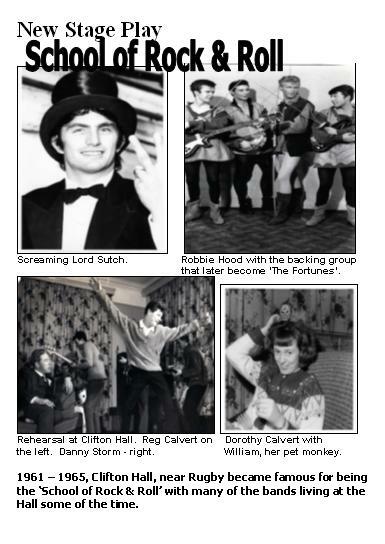 Susan Moore, the elder daughter of Reg and Dorothy Calvert, has written two plays about her parents. 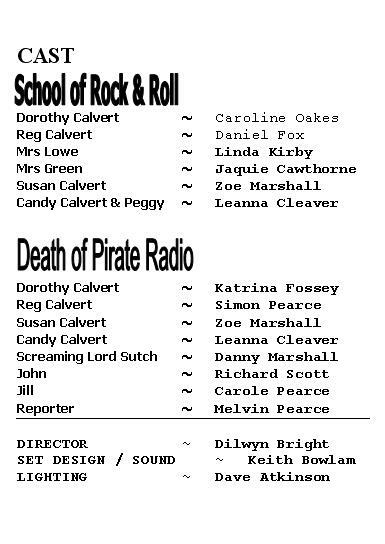 School of Rock & Roll deals with their time managing singers and groups, and promoting dances, during the early days of pop, while Death of a Pirate covers the dramatic and ultimately tragic events which took place around Radio City, the offshore station they owned. 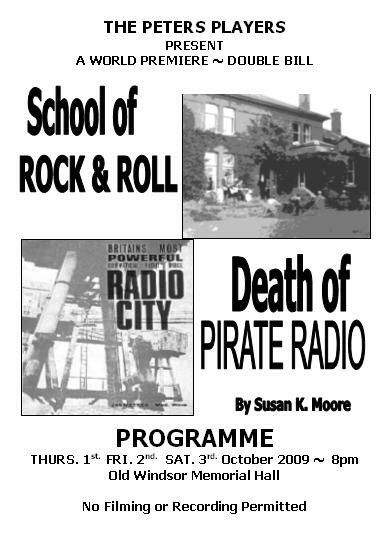 Susan has very kindly forwarded the theatre programme from the premier performance of these plays which took place in October 2009. 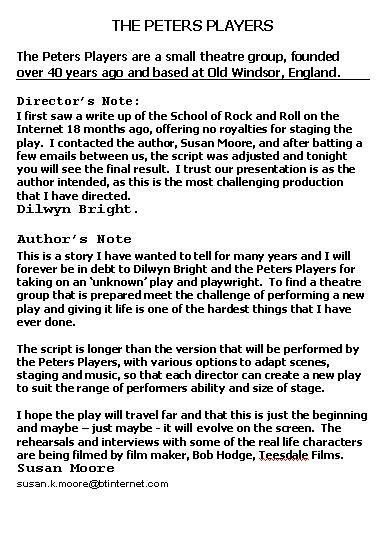 If any directors or theatre groups are interested in putting these plays on, Susan would be delighted to hear from you. Susan has also been hard at work writing a biographical trilogy about the life and times of her father, Reg Calvert. The first volume, Popcorn To Rock 'n' Roll, is now available. 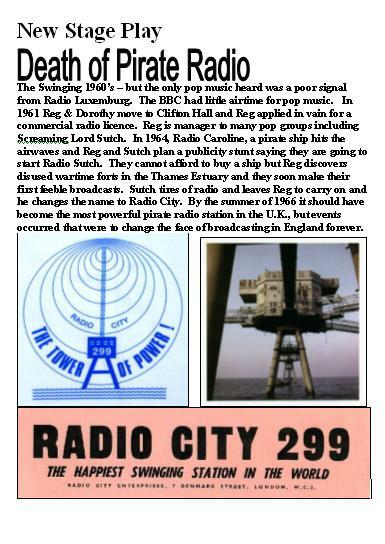 It covers 1946-60, before Reg got involved in offshore radio. It is available as a Kindle download from Amazon for £1-90 or a paperback version can be ordered from Susan's website for around £7-50.